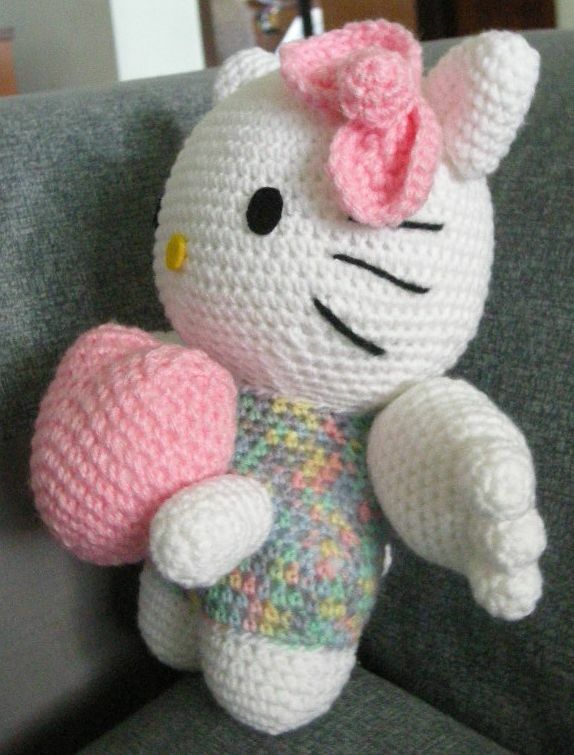 I have a plush piggy toy that I purchased very long ago. Cannot remember when and where was it. The only thing that I recall was I bought it because the piglet looked so cute with its chubby chins at two sides of its nose. 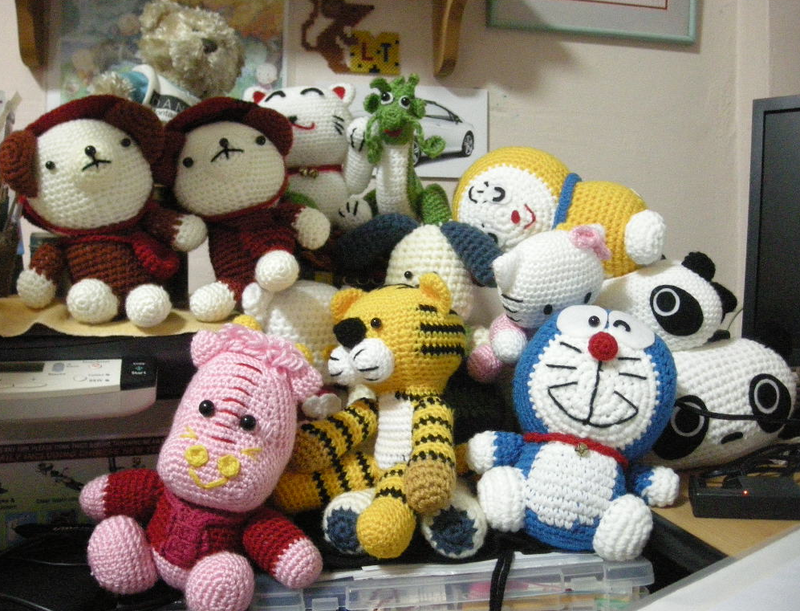 One thing about soft toy is you never get too tired looking at them, the cute faces just melt all your troubles alway. 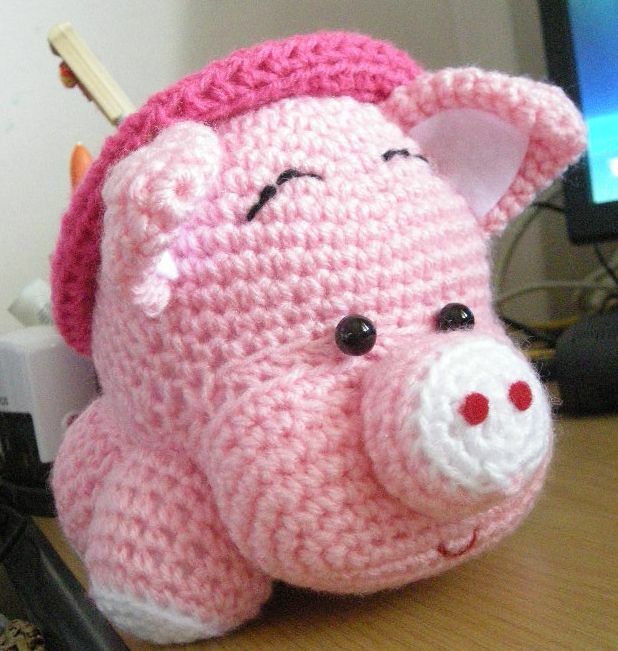 I have recently made a crocheted pig followed the design of the plush piggy. 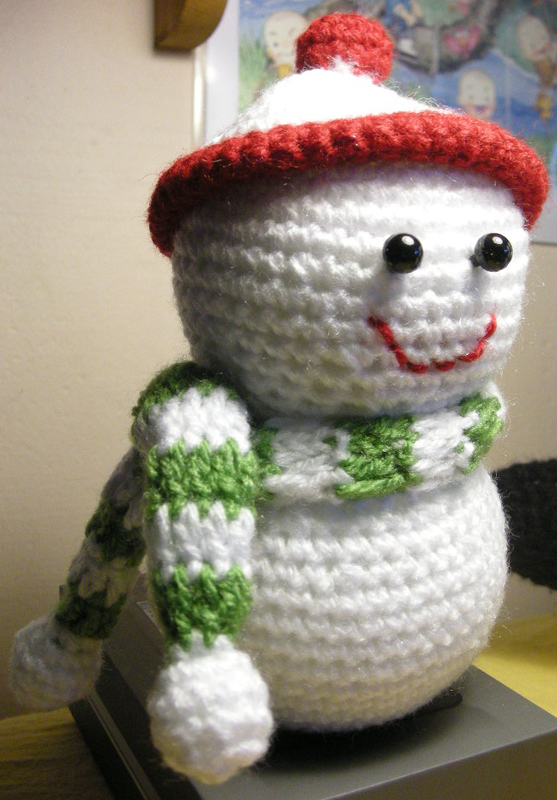 It took me quite a long time to figure out how to crochet the two fat chin beside the nose. 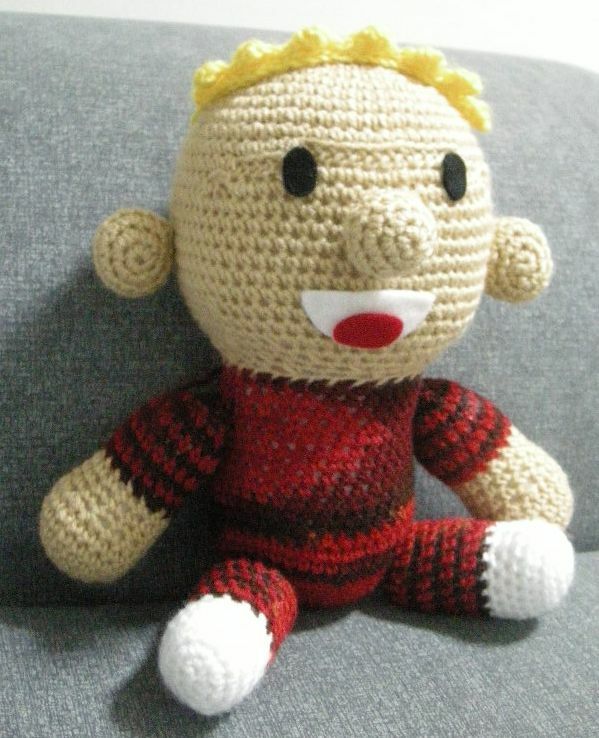 Although it turn out not as chubby as the origin one, I’m quite satisfy with the outcome. 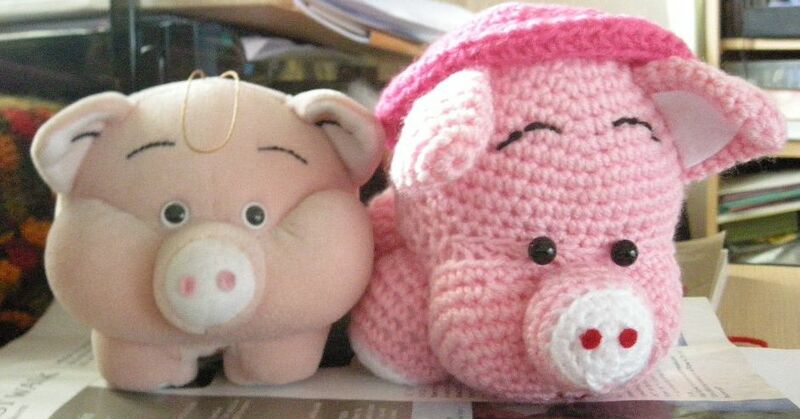 I’ve also made a pinky hat to match my piglet. Both piggy and piglet are now standing side by side looking at me. So which one you like more? Any buyers for my pink piglet? Chinese New Year has just started 4 days ago and now I am back to work. four I really do not have the mood to start work today since the last four days I’ve been indulged on good food and relaxation. Looking at my last post, I was kind of shame of myself on how lazy I became since I started the day job. 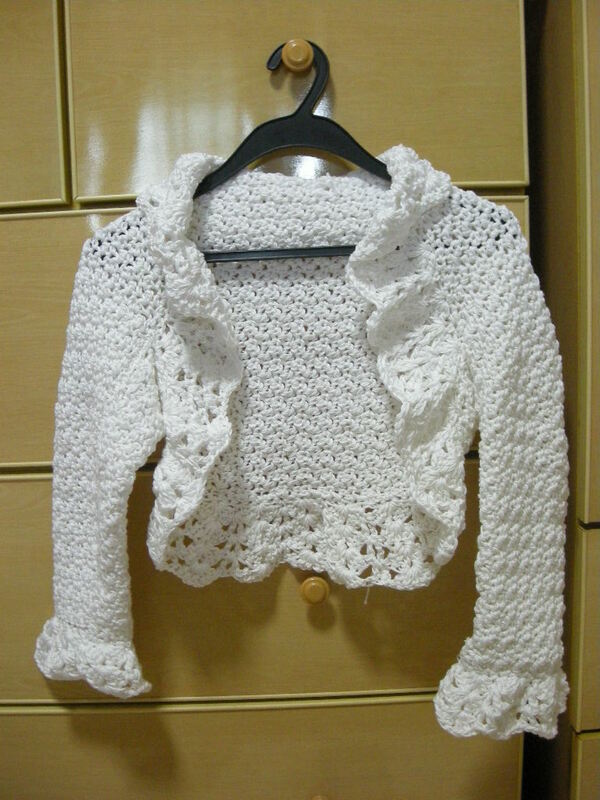 No blog entry for the past 1 month! 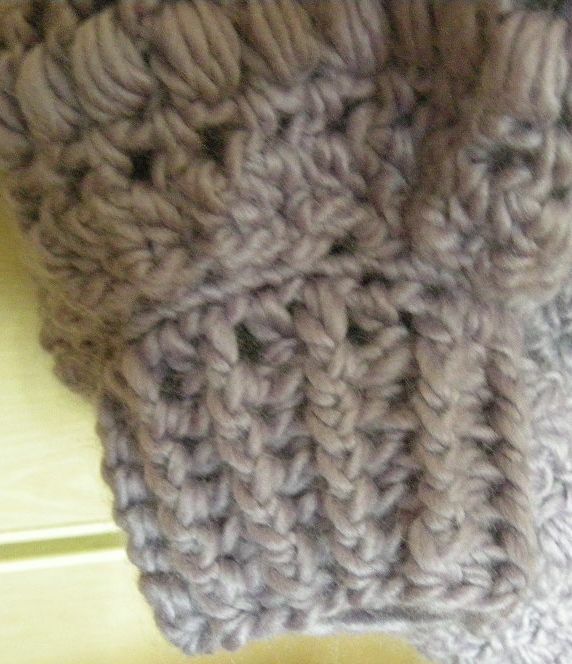 But luckily I was not stopping for my crochet work. 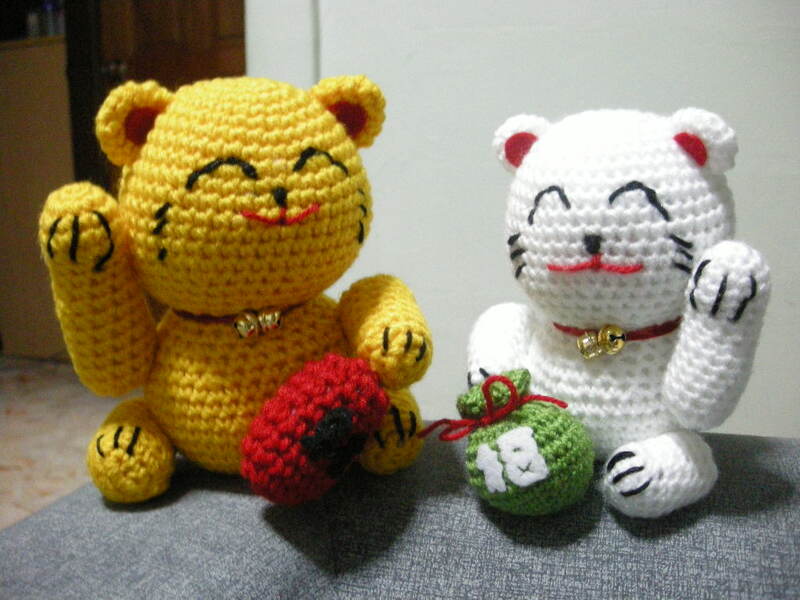 The past four days I was trying hard to work on my new project ‘ Calvin and Hobbes’ in between the celebration of CNY. 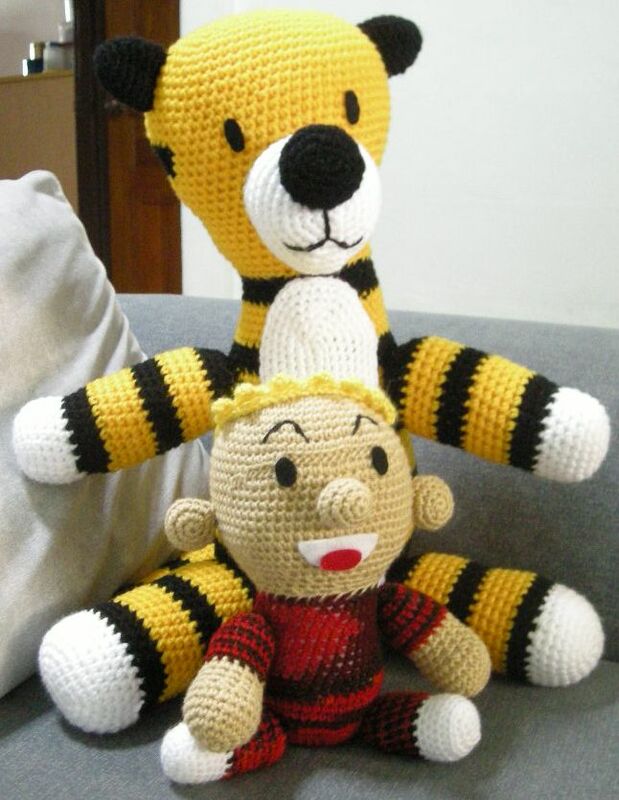 I would say I am proud of myself to come out with the Calvin doll design and almost completed another Hobbes doll of 16 inches tall to match with ‘Calvin’. 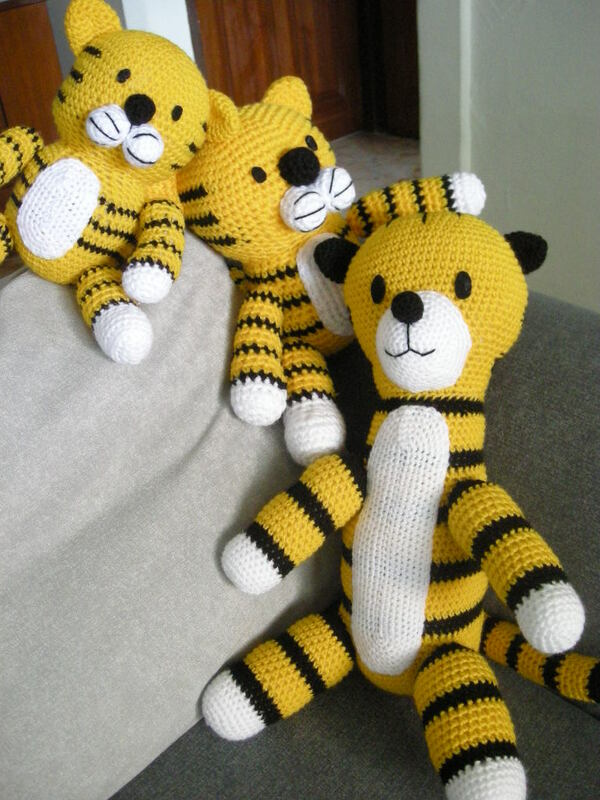 For the past month, I have also sold a Hobbes doll and made another of my ‘tiger’ doll. 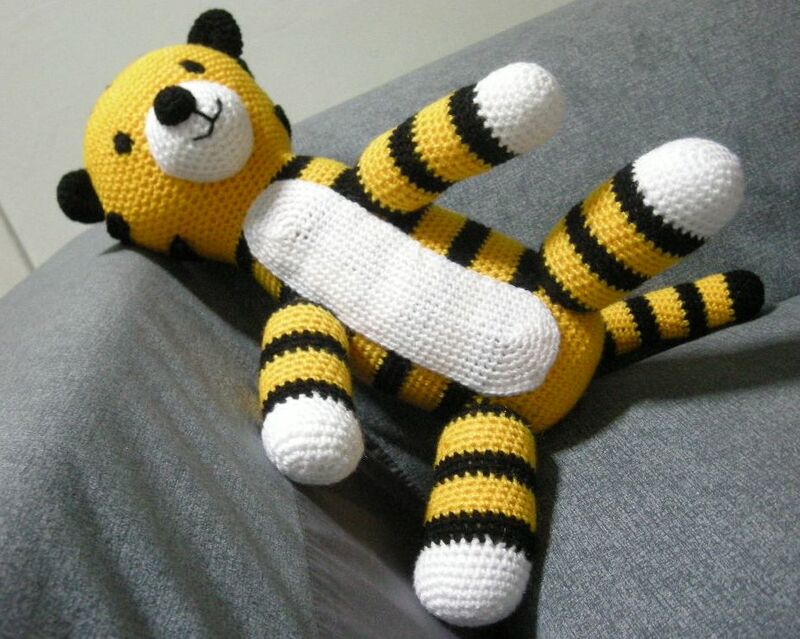 It seems that Hobbes is well received in the western world whereas my tiger doll is well received in the eastern world. Anyway, so long that people appreciate my effort I’ll be fine. 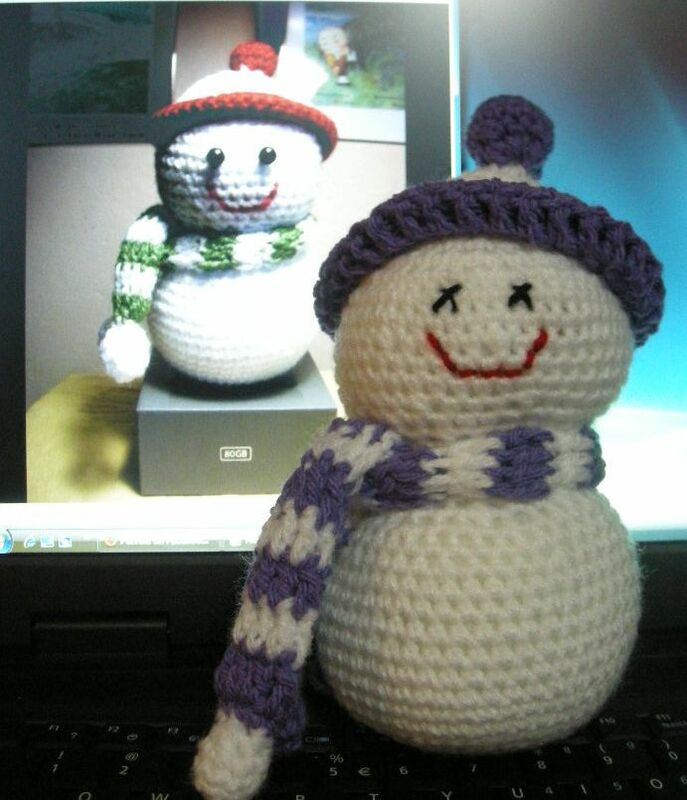 I am also thinking of doing something else other than doll for my next project. 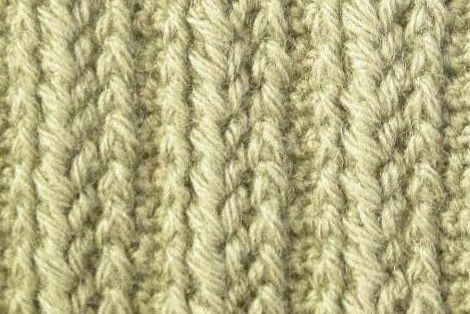 May be a sweater , mitten or a scarf design my me. Maybe another handbag. It all depends when my inspiration will come. 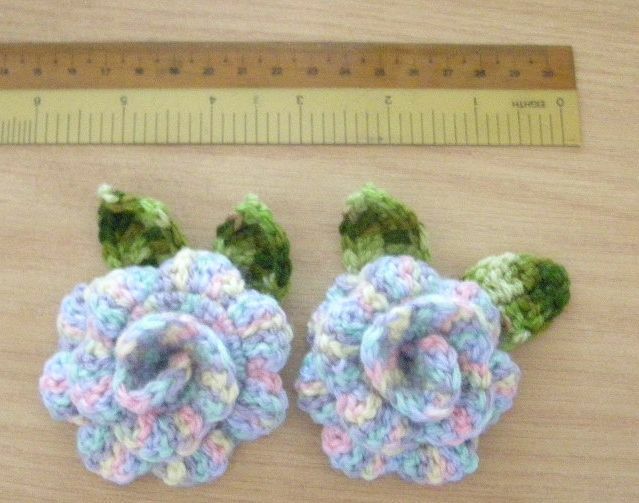 Lately I have more enthusiasm in doing my crochet work than doing my day job. 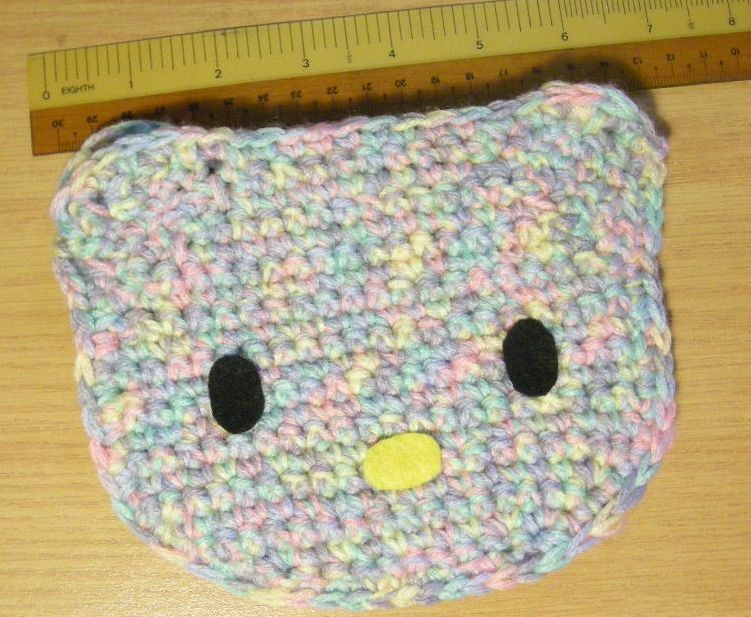 Really hope one day I could work full-time on crocheting to earn my living. That will be my greatest wish! 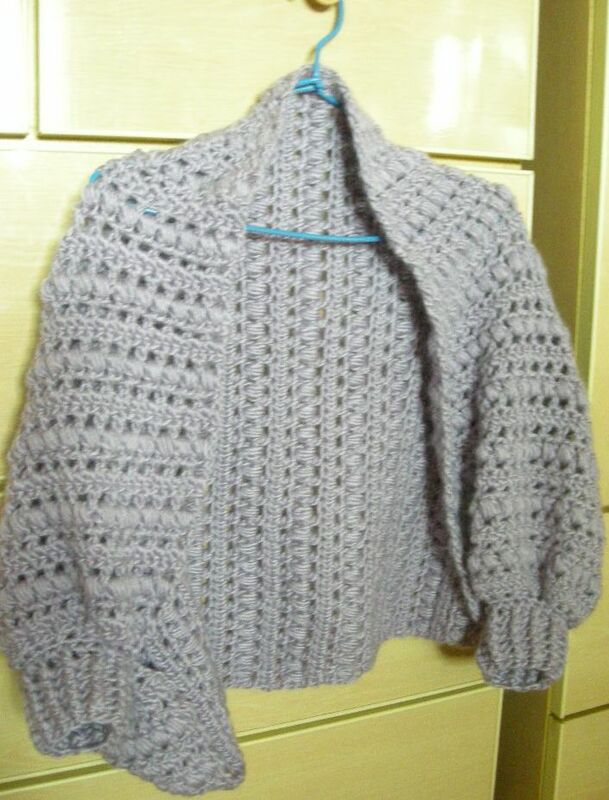 I did the Monkey’s dress on last Friday night. 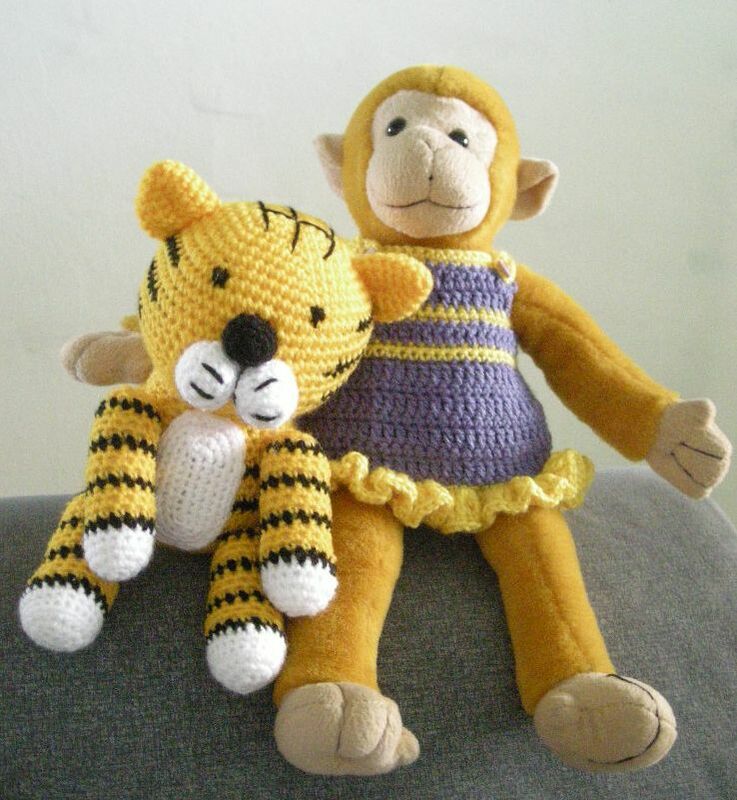 It looks like my monkey and the tiger make great companion for each other! 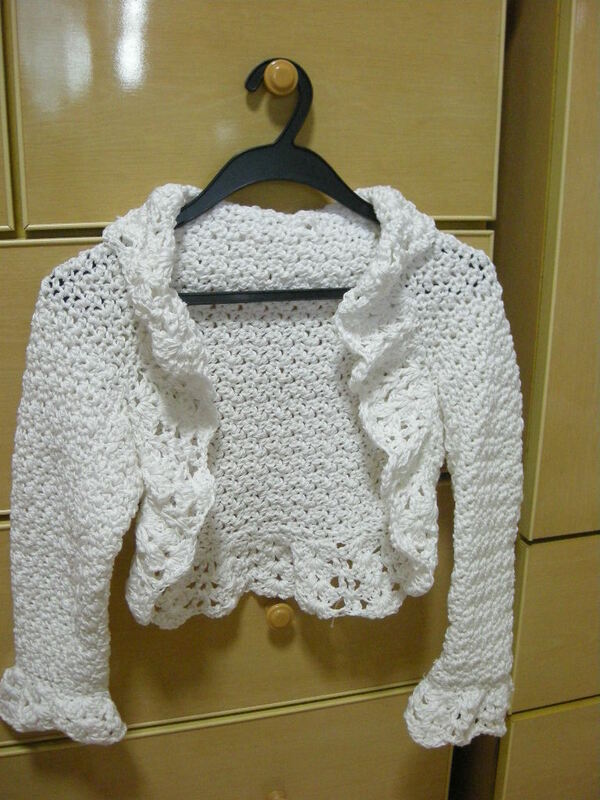 See my latest design, Calvin. 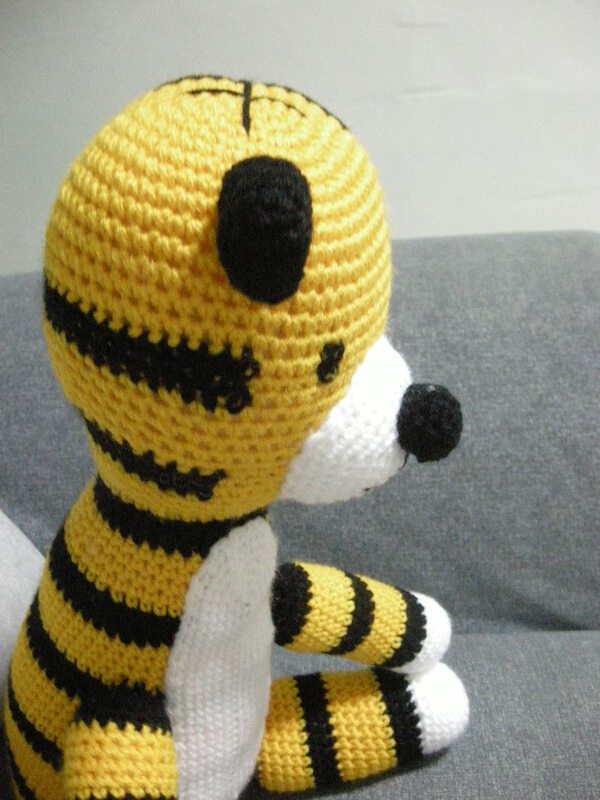 He and Hobbes are going to be the greatest companion too! 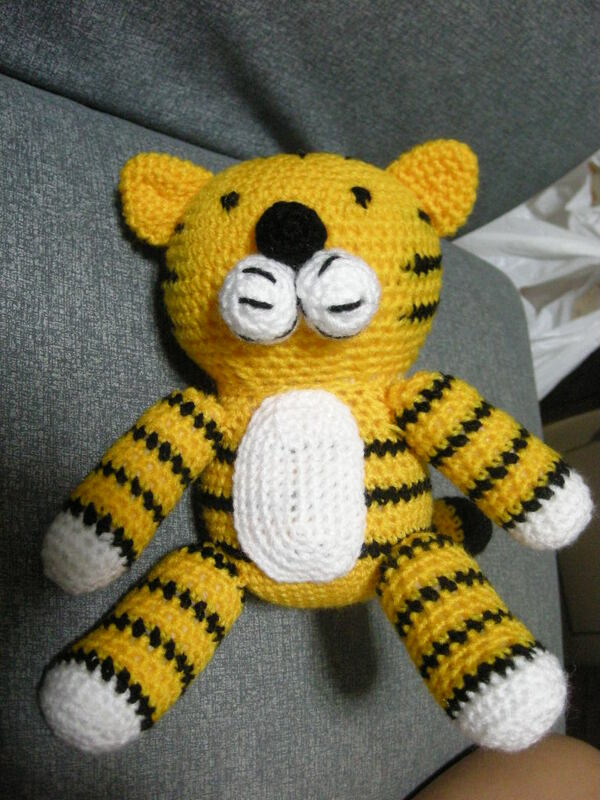 I am in the process of finishing a larger Hobbes.. Only left the ears, mouth, and nose….